Hollywood take note: Rose Bertin (1747-1813) needs a costume movie to be made about her. She was the 18th century couturier to the STAHS, baby, including Queen Marie-Antoinette, but she’s been sadly neglected on the silver screen. Most importantly, Rose Bertin has only even APPEARED on screen in THREE movies or TV shows (not including documentaries). How is this even possible?? Hollywood seems to love to make the same stories over and over. Looking at the list of costume movies and TV shows in the works, more than half of them are either remakes, or subjects that have been filmed before. But, here, I hand on you a silver platter, a subject that has BARELY MADE IT TO SCREEN. And, one that hits a number of proven money making themes: rags to riches, Sisters Are Doing It For Themselves, fashion, Marie-Antoinette, the 18th century, Versailles, Paris, All the Single Ladies. Now, yes, she’s on the curvy side, but come on, how often does Hollywood cast someone who actually looks like the historical person? If Miss Praying Mantis Keira Knightley can play the Duchess of Devonshire, she can play Rose Bertin. Supposedly the real Rose Bertin. This image is all over the web, but I’ve never seen the real source. If anyone knows, I’d love to hear more! I haven’t seen it, but apparently it’s a film that shows scenes in French history that center on Paris, told in impressionistic, not necessarily chronological order. It was such a small part, not only did she not have lines, you can only see her face in the mirror! This was actually great casting — a curvy, regal lady! It’s not her fault the costumes were kind of wonky in this movie (but that’s another post). 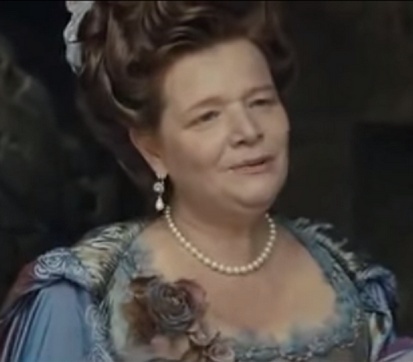 Rose Bertin is a minor, yet substantial character in this film, which tells the story of Marie-Antoinette’s final days at Versailles through the perspective of her (fictional) reader. The main focus is on Sidonie (the reader), Marie-Antoinette, and the Duchesse de Polignac. However, a sub-thread of the film shows Bertin coming to Versailles to discuss the queen’s next gown, and then working with Sidonie (randomly) to embroider a sample based on the queen’s design idea. Rose Bertin on the left. 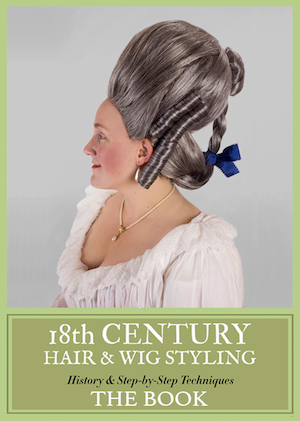 Marie Antoinette looks at real fashion plates of the era. SO, HOLLYWOOD, TAKE IT AWAY. 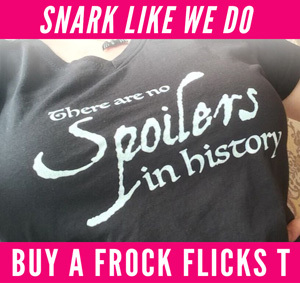 I won’t even ask for credit, or a finder’s fee, or anything! Geez, it’s about time she got her own movie! How about Melissa McCarthy playing her straight? I came here to say the same thing!! She would be perfect! I’d watch that film!! Wow that IS a great suggestion! !